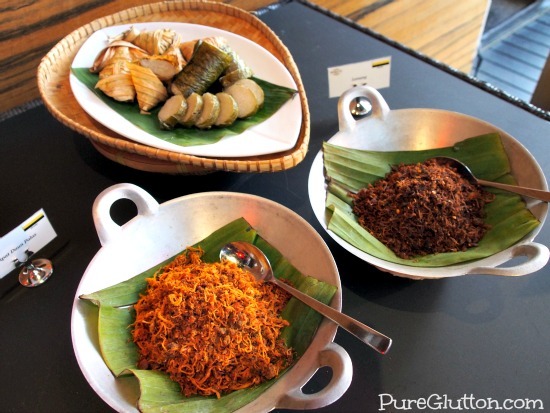 The thing I enjoy most about Ramadhan buffets is that I get to enjoy authentic traditional Malay dishes. 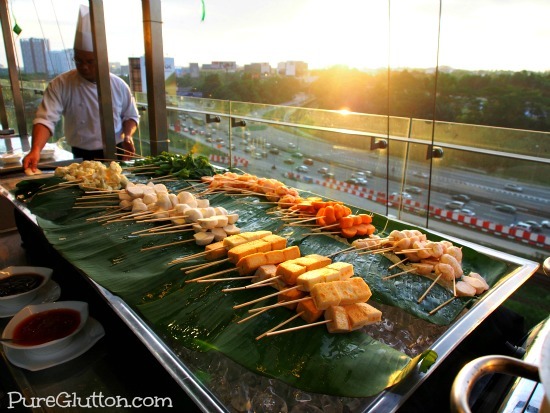 Most establishments offering Berbuka Puasa feasts usually go out of their way to ensure that well-loved local Malay cuisine is featured. That’s exactly what Kitchen Art Brasserie at the Empire Hotel Subang is doing for this Ramadhan. 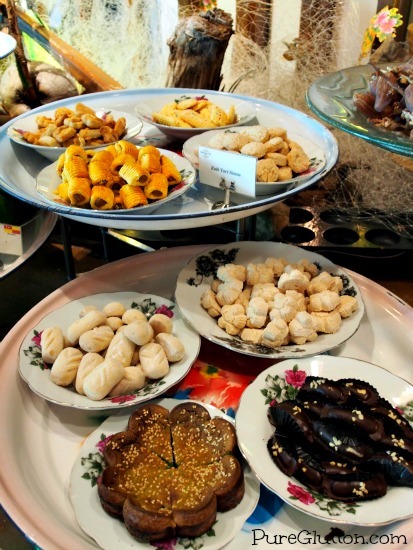 Diners get to feast on an array of wholesome dishes – the selection numbers more than 50 delicious items. It may not sound like a lot, as compared to some hotels or restaurants which offer much more but what Kitchen Art Brasserie does well is that their selections are pretty good. 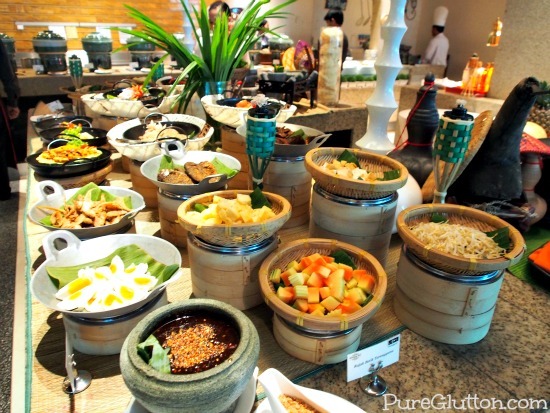 One can’t possibly savour every item in any buffet and it’s great that in this case, there are quite a few dishes that hit the mark. 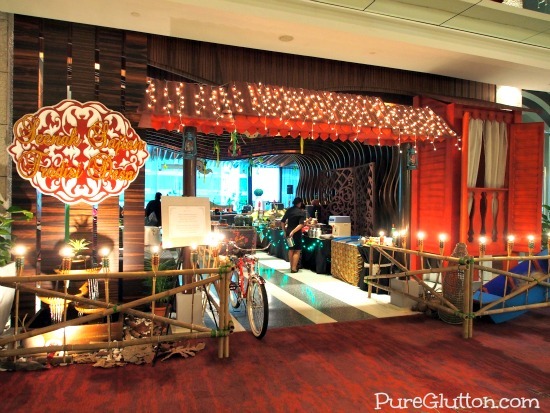 In reflection of the theme, the entrance to the restaurant is all decked out in true traditional “desa” (village) decorations… an attap house surrounded by customary Hari Raya lights, fenced and flanked by a charming old-school bicycle. 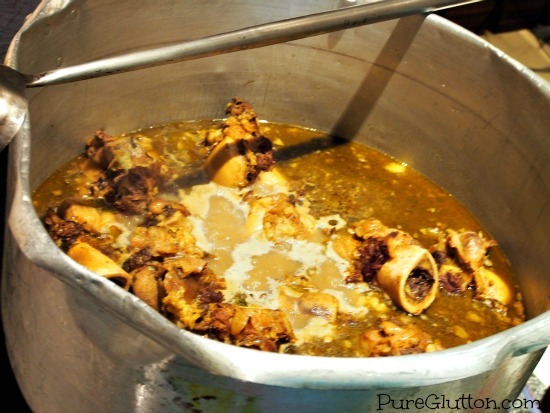 You won’t miss the big pot of simmering Sup Ekor, popularly known as “Sup Gearbox” just next to the entrance. 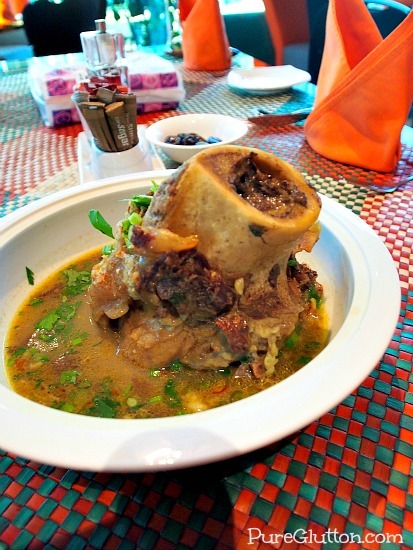 Huge bones with overflowing marrow line the pot, submerged in a bubbling thick soup redolent with spices which wafts across the whole restaurant. Have a bowl of this hot soup and savour the creamy velvety marrow to start off the breaking of fast. 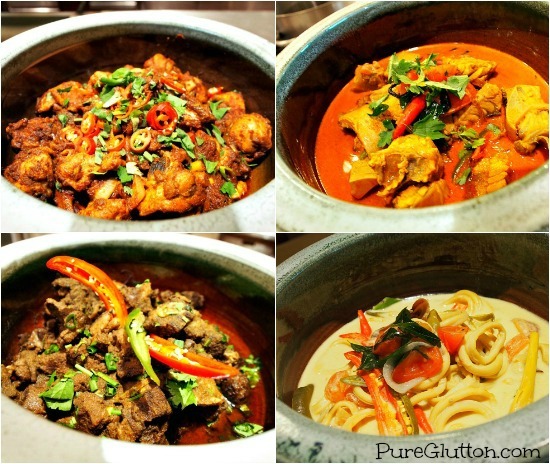 Chef Fazli Baharudin has cooked up a decent array of dishes to go with rice… pots of exquisite dishes like Ayam Kaleo Padang, Sotong Masak Menado, Rendang Bukit Tinggi, Kambing Mekuah, Burung Puyuh Balado, Ayam Bakar Bali and Ekor Lembu Masak Ketumbar line one section of the restaurant. 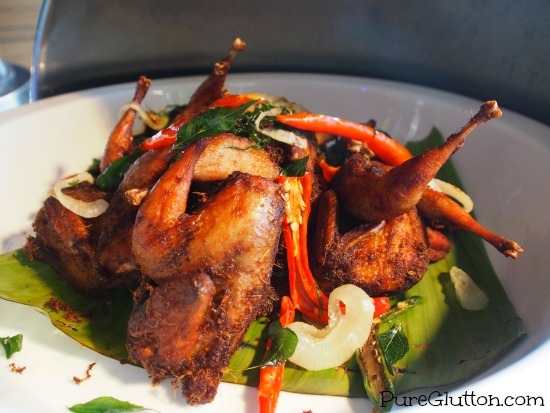 The Burung Puyuh Balado is absolutely scrumptious – I had more than one piece of the superbly deep-fried well-marinated quails. 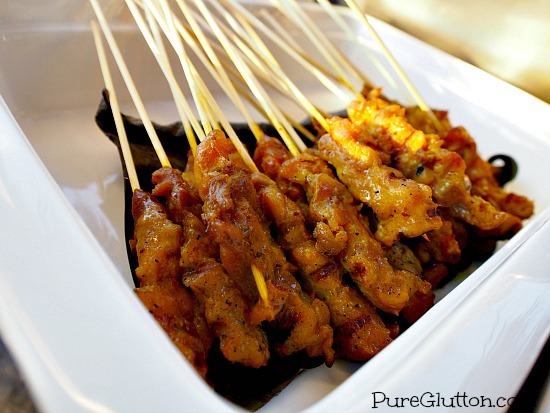 There’s also this very delicious Gulai Kampung Tulang Lembu which should not be missed – fork-tender beef ribs in curry! 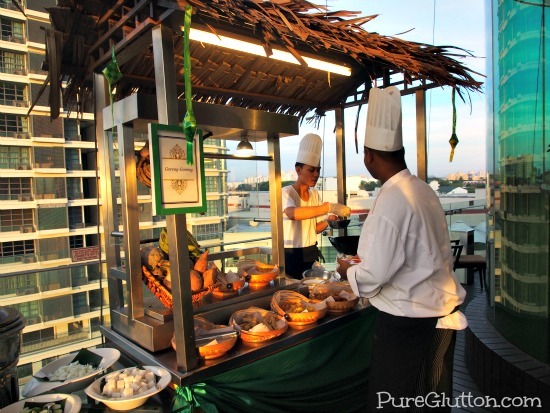 Step out into the terrace and you can see 12 stalls set up there offering goodies like Ikan Bakar, Murtabak, Satay, Claypot Yee Mee, Fried Delicacies and of course, a Roast Lamb on Pit. 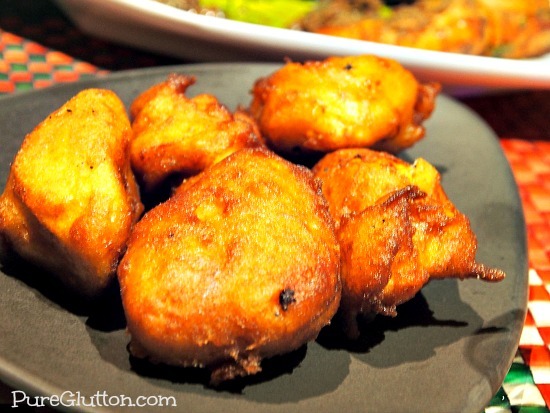 The fried chempedak is a must-have, trust me. 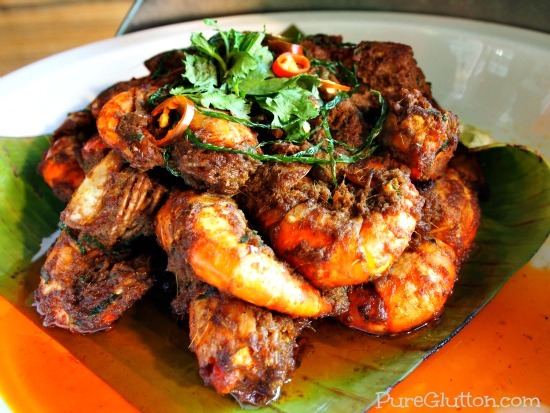 Rendang Udang Galah is a specialty by Chef Fazli and is only available during this period. 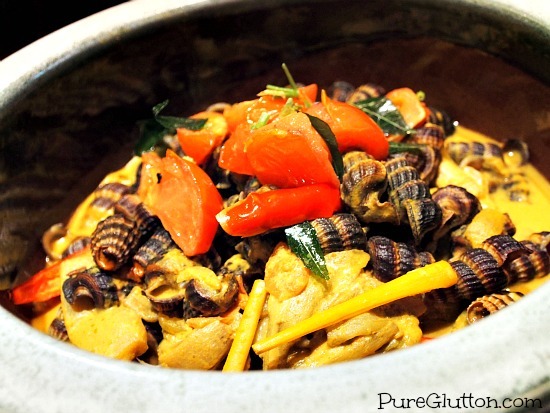 Giant fresh water prawns are cooked with an aromatic concoction of shallots, ginger, lemongrass, fresh turmeric, dried chillies, cinnamon stick, cardamom, cloves, star anise in coconut milk. All these are infused into the prawns over a 1.5 hour cooking process so you can just imagine how terrific this dish smells! 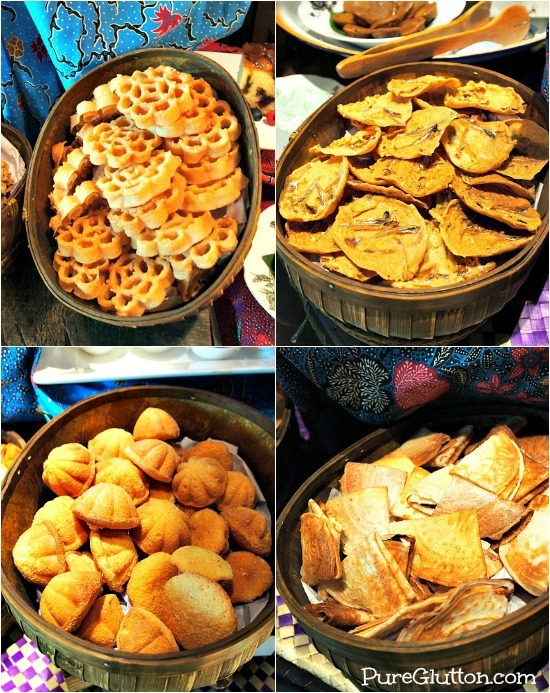 For desserts, check out the huge spread of Malay kuih, tapai pulut, pandan sago gula Melaka, pastries and cakes. If those are too rich for you, then head on over to the fresh fruits counter! Remember to drop your name card at the restaurant when you Buka Puasa here as you may just walk away with a Samsung S4 Mobile Phone (worth RM2199) in their weekly lucky draw. 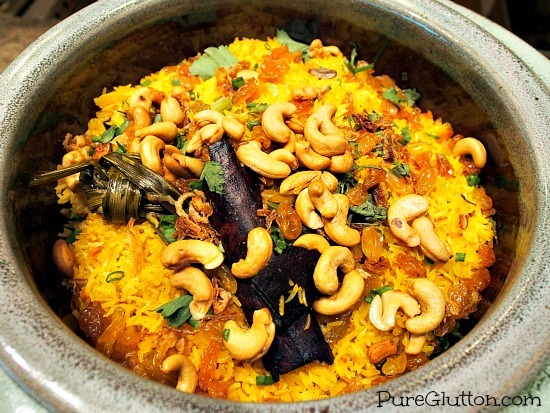 Guests also get entertained by a ghazal performance at Kitchen Art Brasserie daily. 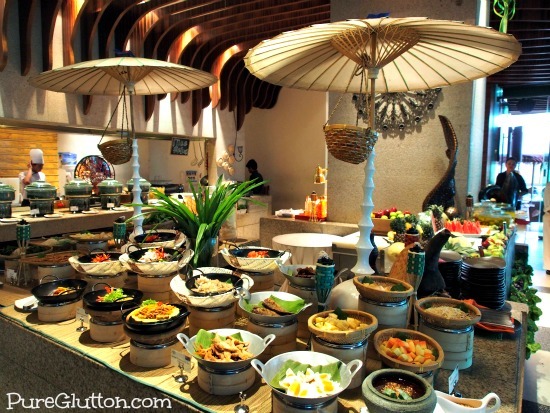 The Seenak Sajian Tradisi Desa buffet dinner can be enjoyed daily (7pm till 10pm) until 7 August 2013. It is priced at RM98++ per person (adults) and RM78++ for children from 6-12 years and senior citizens above 55 years old. There’s a special offer of Buy 2 Get 1 Free from 5-7 August 2013. All diners will receive a complimentary takeaway Rendang Chicken Floss Bun, which is really delicious. Please call 03-5565-1233 for reservations. Oh we scraped till every drop was gone, haha! that gearbox is what i want! Haha…go ahead and get it!